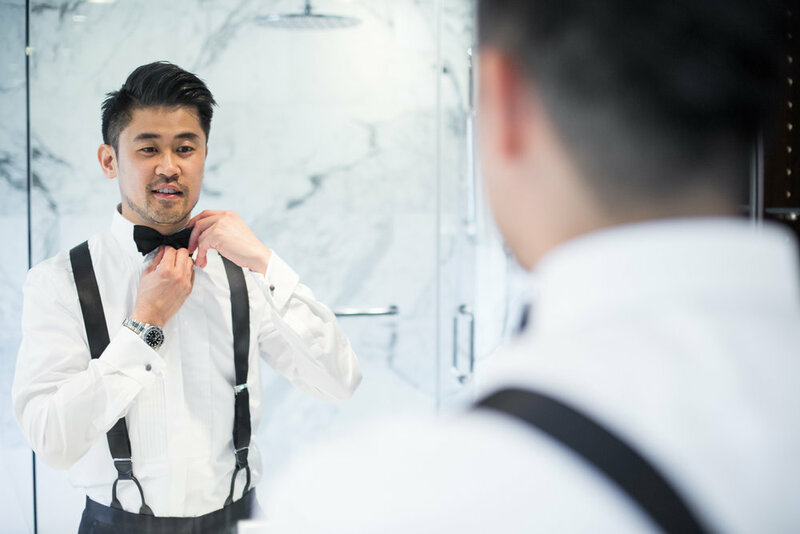 The couple tied the knot with a luxurious Toronto wedding that showcased a fusion of Chinese heritage and modern Western styles. 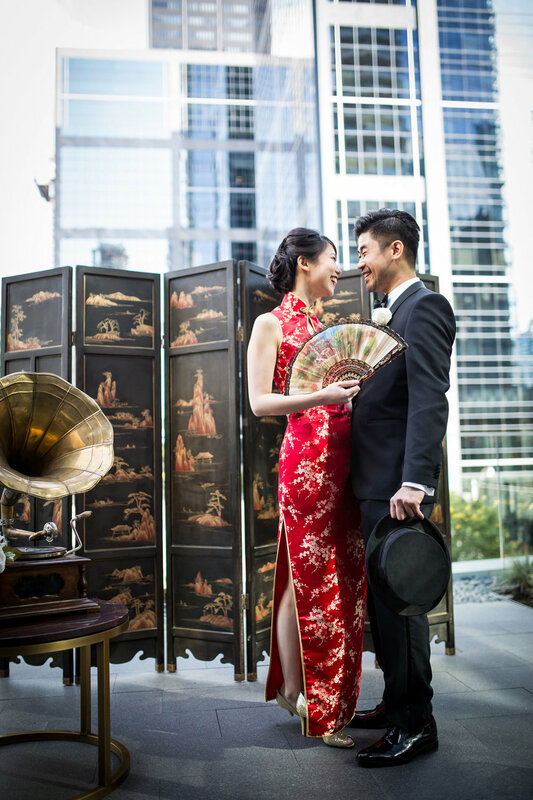 An old Shanghai theme was adopted to present the couple's love for their hometown city of Shanghai and in preparation for the Chinese holiday of Mid-Autumn Festival. 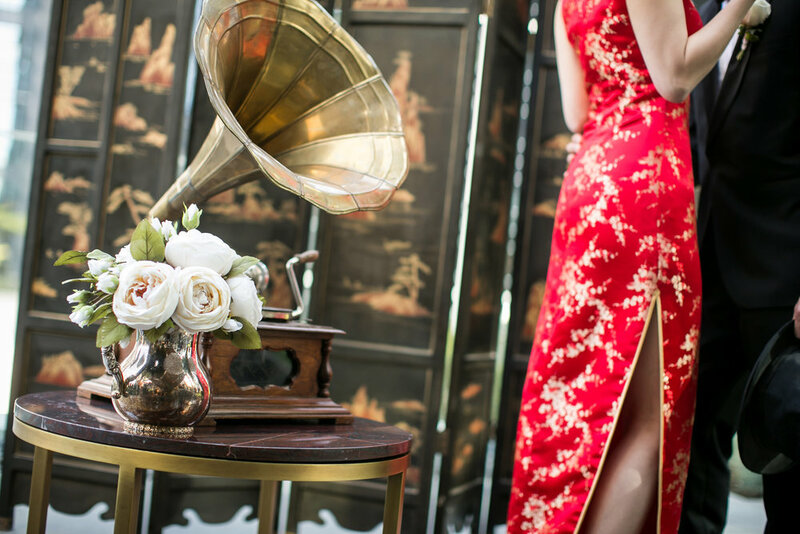 Vintage vignettes that included a collection of era pieces, such as a gramophone, a gong and Chinoiserie partitions created a beautiful photography backdrop for the venue. 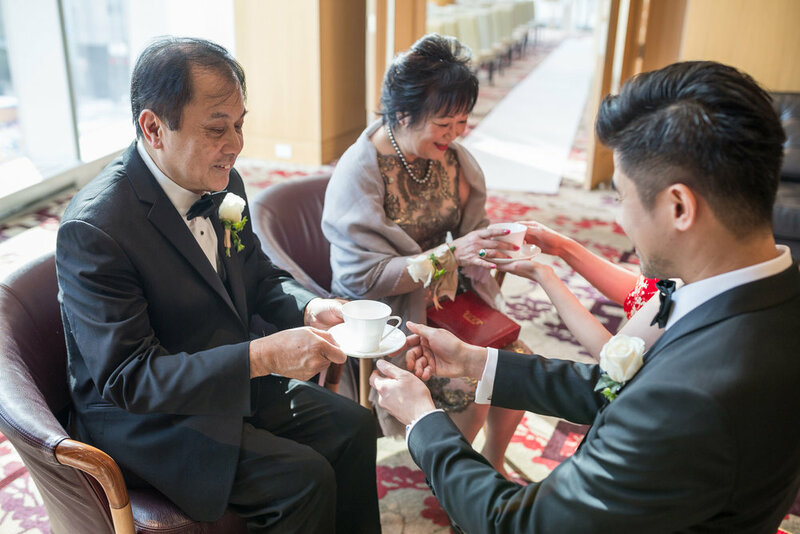 The elegant red dress donned by Crystal boasts a tailor made, traditional Chinese wedding style dress by Alice Ko, an original cheongsam designer for the Miss Chinese Toronto Pageant. Hand crafted for the occasion, Ko’s design highlights traditional Chinese patterns and cutting. 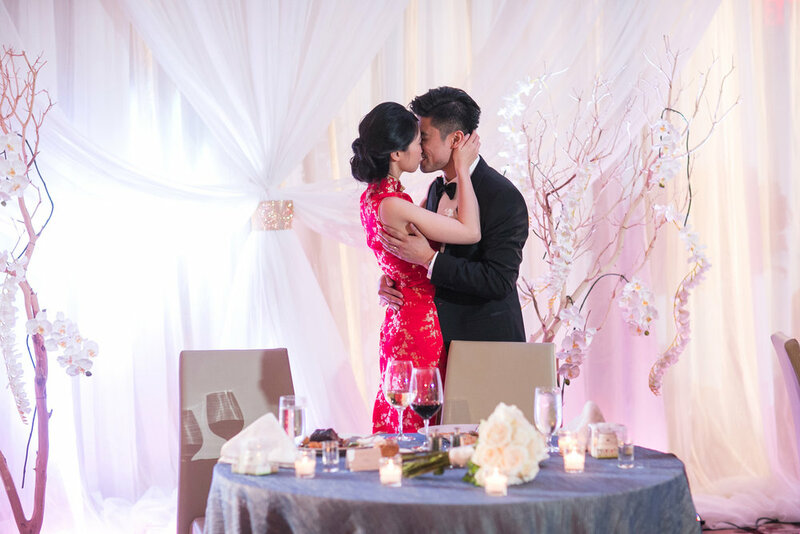 Captivated by the fusion of cultures, the couple elevated the Shanghai theme by incorporating the Western landscape of Osgoode Hall. The architectural details feature neoclassical elements, which are also existent in the Old Shanghai era and among historical buildings in the city today. 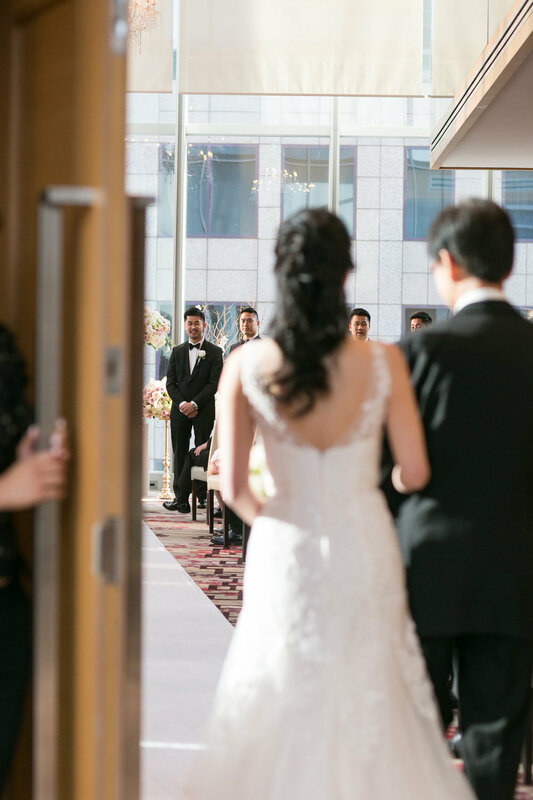 The ceremony and reception venue of the Shangri-La Hotel was an opulent space for its luxurious interior, impressive art collection and architecture. 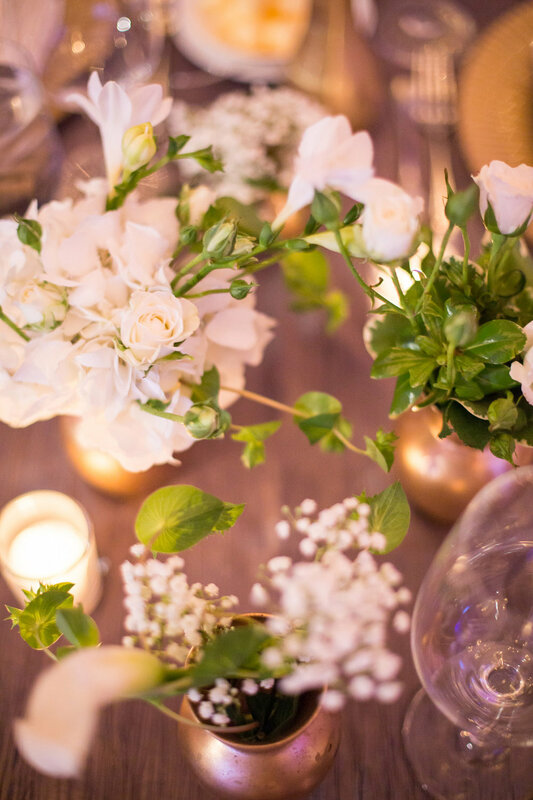 To merry the venue's design and the couple's taste, Secrets Floral Collection presented a classic flower selection with a myriad of pastel pinks and ivory. Traditional roses in blush tones created a beautiful presentation as the light ivory tones from afar signified purity, but showcases subtle hints of creamy colors upon a more intimate encounter. The reception and evening floral design detailed a more colourful selection with ornate golden candelabras, which extenuated a fancy metallic tone that embellished the vibrancy of luxury and elegance. 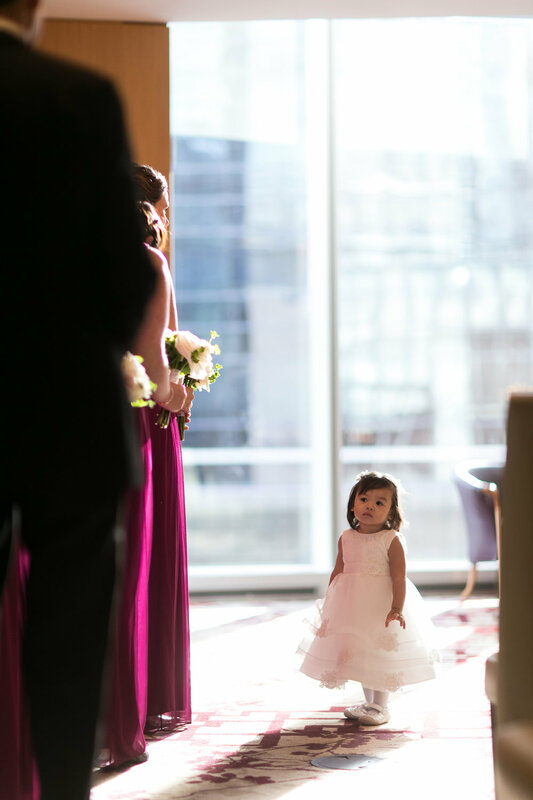 The couple chose to work with a loose floral form at the family tables. In contrast to the guest tables that were presented with a tall round centerpiece, the specialty family tables were created in a harvest style layout with a mix of fresh blooms in mismatched golden vases. This dynamic interplay of displays represented the couple’s playful and fun relationship with their siblings and cousins. 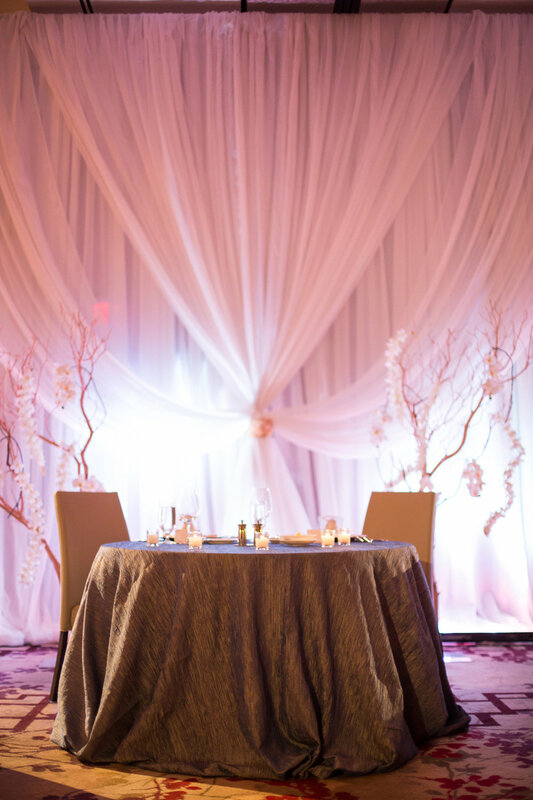 The sweetheart table was featured as an artfully curated vignette framed by two manzanita trees in the background embellished with fresh blooms and orchids against a luxurious floor to ceiling backdrop. 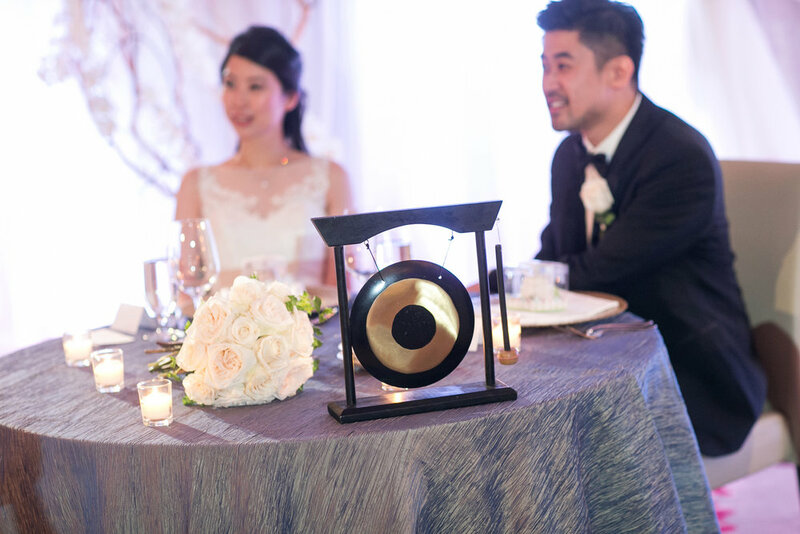 The unique vintage tabletop gong served as an interactive piece in the traditional celebratory kissing game. 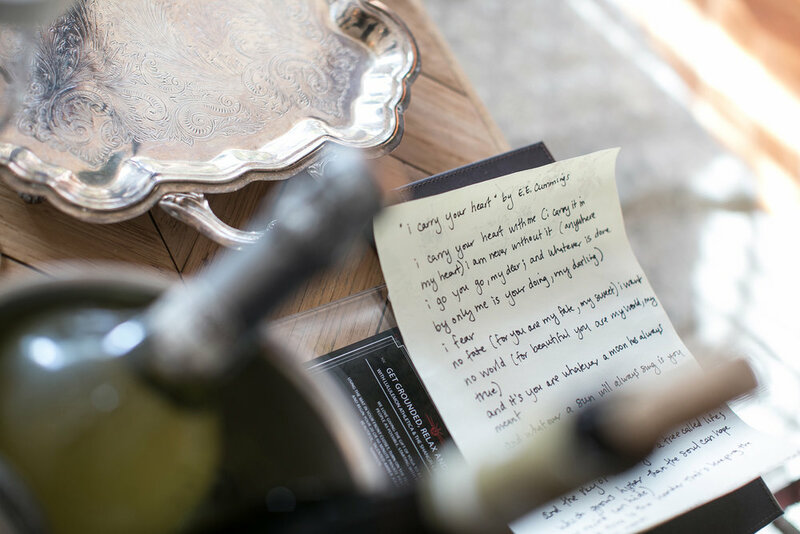 The table scape features southeastern silk linens, tying together the symbolic fusion of tradition and modern elegance. 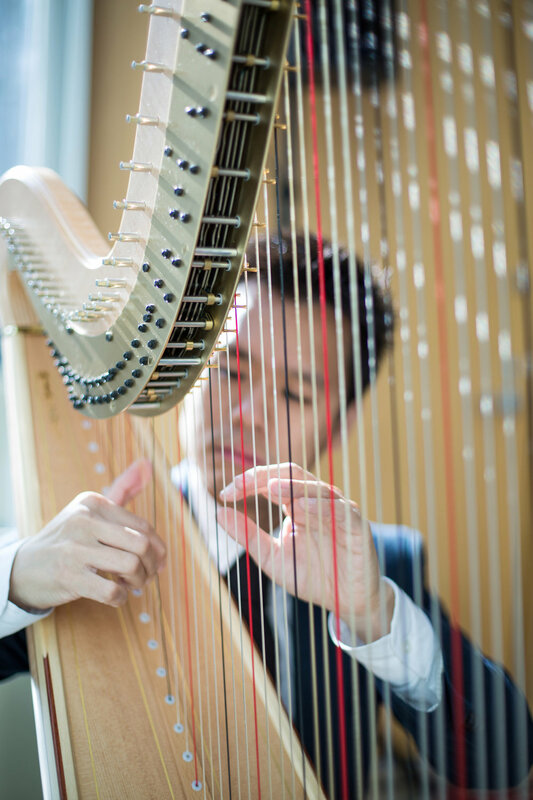 Live entertainment was provided throughout the celebrations featuring numerous music professionals, such as orchestra harpist Andrew Chan, guitarist Leo Orlov, music band Lady Be Good, and entertainment by Parliament Music Group throughout the evening festivities.